To serve Warm the tortillas. Add a spoonful of sauce and a handful of cabbage and place the shrimp on top of the cabbage and place the shrimp on top of the cabbage. 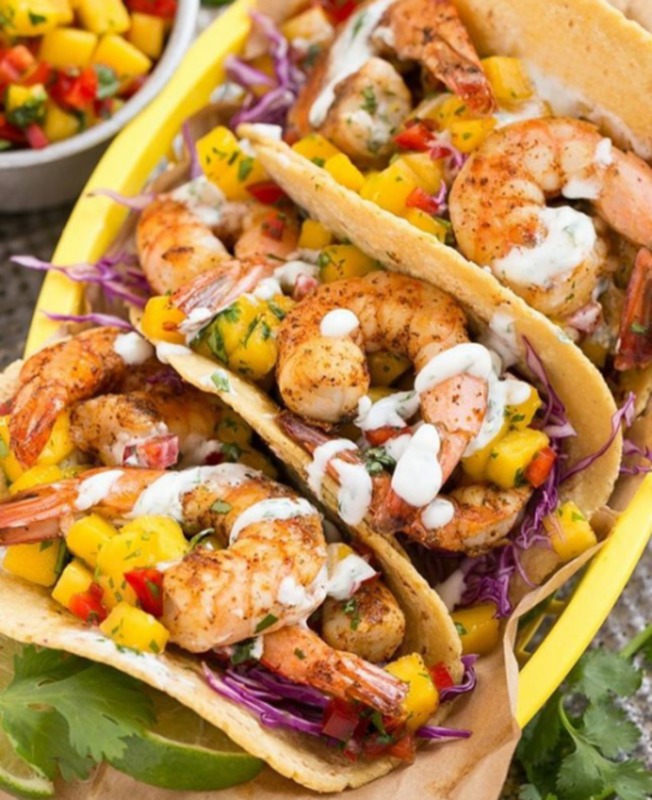 Top it with mango and serve. NOTE: Preparation must be done up to 3-4 hours in advance and refrigerated.